Galatasaray Liv Hospital Istanbul held on late to beat Valencia Basket 71-64 after leading by as many as 28 points in the first half on Thursday at Abdi Ipekci Arena. The win was Galatasaray’s first in Group D, while dropping Valencia to 0-2. Valencia held an early 8-10 lead, but the hosts simply took over with a 23-2 tear en route to a lead that peaked at 45-17. The hosts led 47-24 at halftime, but the second half was a different story. Dwight Buycks heated up as Valencia reeled off 10 straight points to get back in the game. Then Luke Harangody hit a few key baskets and eventually drew the visitors within 5 with a minute and a half remaining. 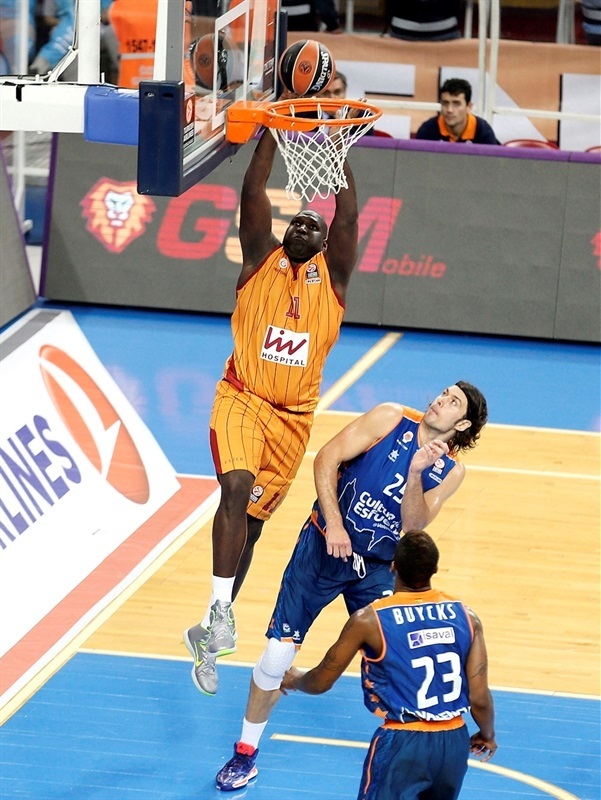 However Galatasaray managed to hang on with a few key offensive rebounds and snagged the victory. Carlos Arroyo led the winners with 16 points and 5 assists, Zoran Erceg added 12 points, Furkan Aldemir tallied 10 points, 12 rebounds and 3 blocks and Vladimir Micov accounted for 10 points and 7 rebounds. Harangody paced Valencia with 16 points and 7 boards, Sam Van Rossom finished with 11 points and 7 assists and Buycks also scored 11. The visitors won the opening tip and Luke Harangody drained the game’s first points from downtown. 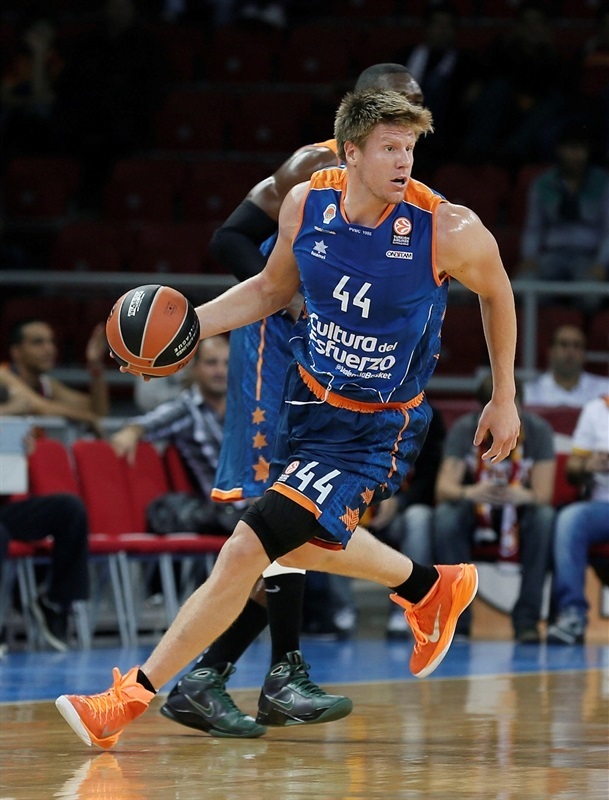 Martynas Pocius got Galatasaray going with a layup before Pau Ribas connected on Valencia’s second three. Furkan Aldemir extended a possession with an offensive rebound and soon capitalized when Carlos Arroyo found him inside for a slam that evened the game at 6-6. The teams traded baskets with Sam Van Rossom and Vladimir Micov penetrating for layups as the score remained knotted. Zoran Erceg drove through Harangody for a layup-plus-foul and Galatasaray’s first lead, 13-10. Micov added a floater to the delight of a very loud crowd. After a timeout, Erceg sank his team’s first triple to cap a 10-0 run. 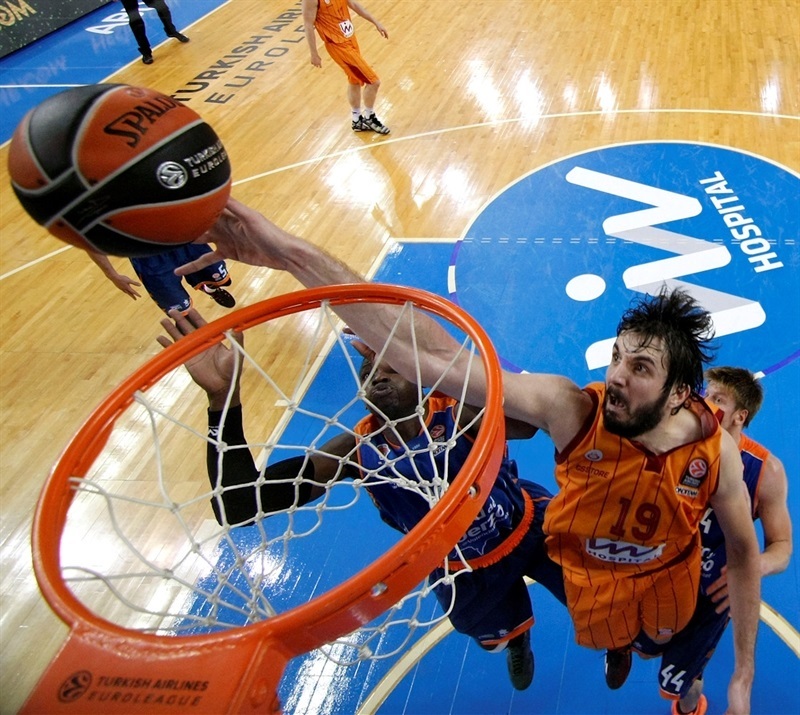 Kresimir Loncar ended a three-minute Valencia drought, but Arroyo soon set up Aldemir for a basket-plus-foul. Aldemir brought the crown to its feet with a steal and two-handed slam. Erceg added to Valencia’s misery with a layup that made it 25-12. Ian Vougioukas made free throws, Arroyo hit a jumper and Pietro Aradori banked in a shot to take the Galatasaray run to 23-2. 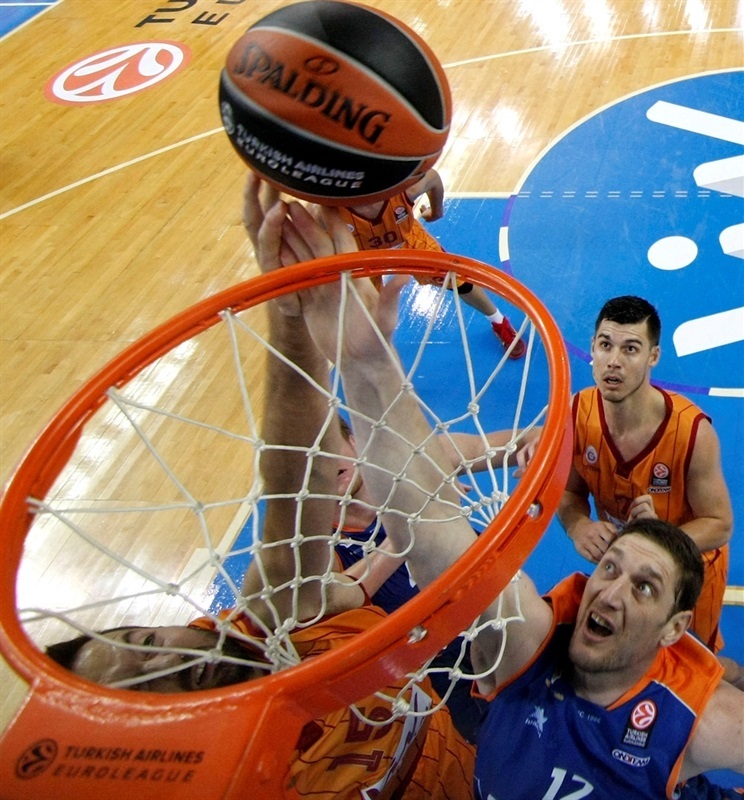 Serhiy Lishchuk scored Valencia’s first bucket of the quarter some three minutes in. Arroyo took the home team’s lead into the 20s with a three-pointer. An acrobatic baseline layup from Pocius put Galatasaray up 38-14 midway through the quarter. Ribas temporarily quieted the crowd with a three. 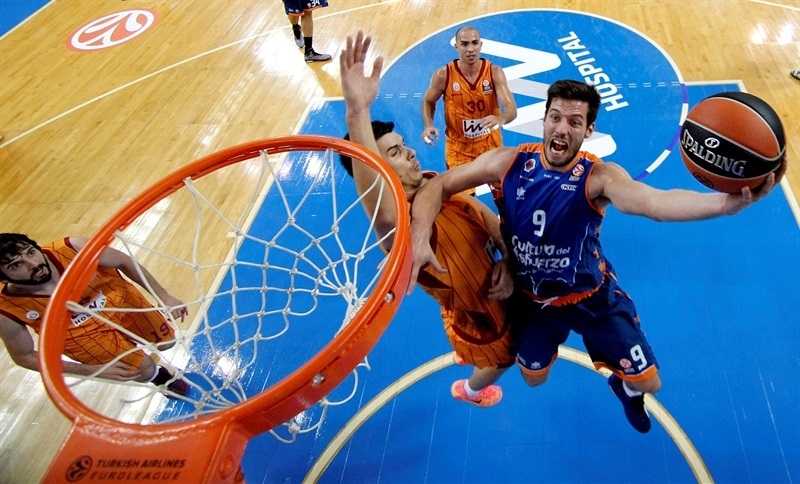 Aradori entertained the crowd when he beat the 24-second clock with a three and drew a foul! Sinan Guler added an acrobatic layup for a 45-17 advantage. Buycks scored at the rim for Valencia and Romain Sato later added a three. Buycks free throws drew Valencia within 47-24 at the break. Arroyo connected on a long jumper before Lishchuk split free throws to make it 50-25. Harangody scored on the offensive glass and Van Rossom and Bucks drained threes as Valencia showed signs of life with a 0-10 run. Arroyo hit from the corner to keep the hosts cruising at 52-34 midway through the quarter. Buycks scored on the offensive glass, while Erceg added 2 free throws. Buycks kept the Valencia offense rolling, but Galatasaray remained in control. Rafa Martinez free throws brought the visitors within 14. Arroyo was there again for the hosts, however Martinez soon netted a three-pointer and Loncar drew Valencia within 62-50. Harangody made is a 10-point game a minute into the quarter. Micov boosted the hosts with a score, but Van Rossom hit a three to make it 64-55. Harangody bettered an Aldemir tip-in to make it an 8-point game with five minutes to play. Arroyo helped reestablish a comfortable cushion for the hosts with a triple. Harangody followed in a Buycks miss and Van Rossom fed Lishchuk for a slam that quieted the arena at 69-62. 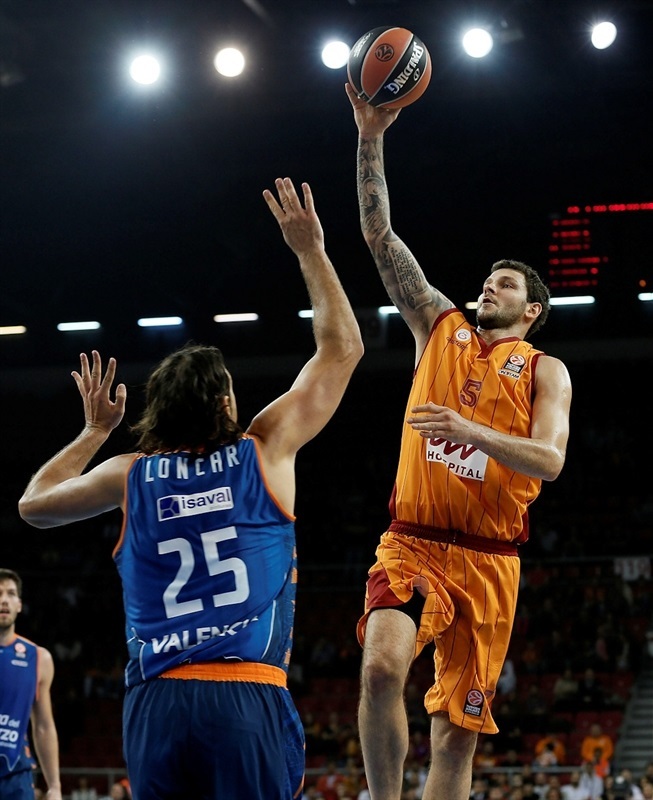 Blocks by Pocius and Aldemir and a pair of offensive rebounds by the latter helped Galatasaray take time off the clock, but the home team was not scoring either. 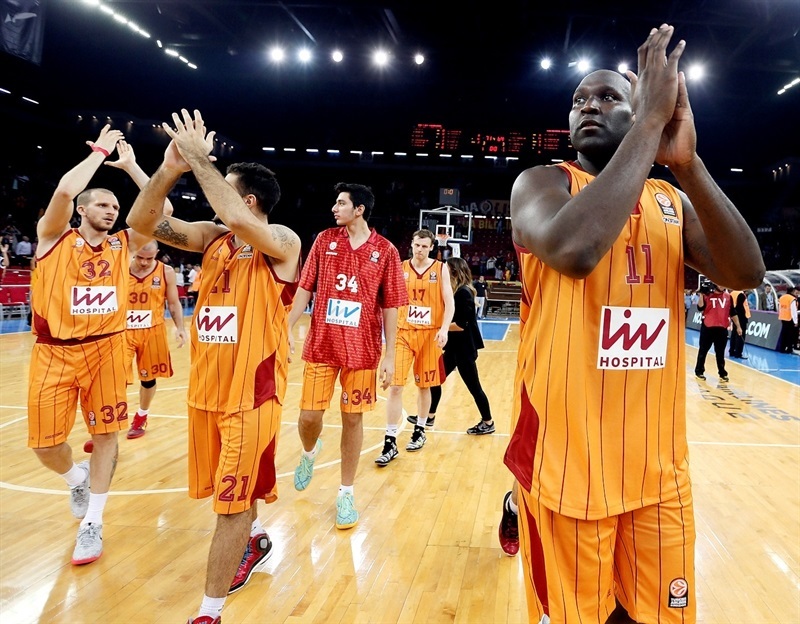 Harangody put fear into Galatasaray by bringing his team within 5 with a short jumper 91 seconds to go. Micov snagged an offensive rebound with 34 seconds remaining that helped save his team from its offensive woes. But Valencia came up empty on its last possession and Pocius ended the game with a layup. "It is a very important win for us tonight. It’s a really important win for many reasons. We have two important players missing because of injuries. Our back-up guard Nolan Smith made some undisiciplined actions and he was out of the roster. 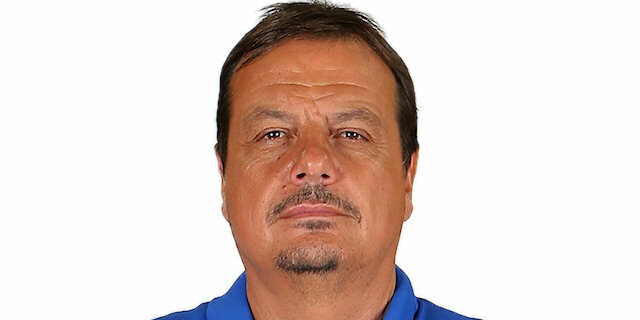 He will not play for Galatasaray again. For this reasons we had some problems rotating players. We have some other problems as everyone knows. We thank our fans who came here and supported us. We were apart almost for five months and their ambition was a true force for us today. In the first half Carlos Arroyo, who is our leader on the court, played very good and the rest of the team kept up with him. We were truly perfect in the first half today. We played excellent basketball both on half-court offense and transitions. We knew Valencia was not going to give up. We have some problems with the point-guard rotation. Pocius and Sinan got early fouls today, Arroyo got tired and they also increased their defensive pressure. So we were out of organization. We couldn’t get enough contributions from our big-men that came from the bench. So we had to use a very narrow rotation today. At this kind of time, it is very valuable win for us. 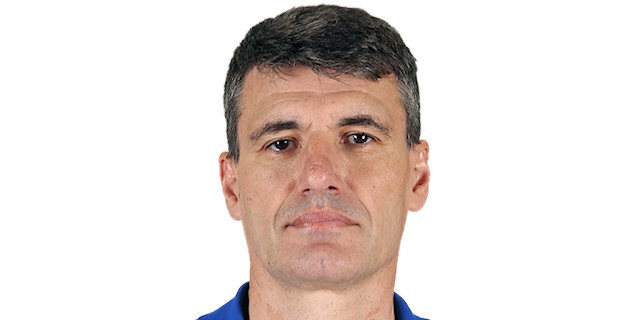 I congratulation my players who put their hearts on the court today." "Congratulations to Galatasaray Liv Hospital for their well deserved win. We played very bad in the first two quarters. We found our rhythm in the second half and reduced the big gap. But it's not easy to bring the game to a win after a 28-point deficit. We tried really hard but we couldn't." "It was an excellent first-half performance for us. But we struggled to defend the big gap in the second half. It was not easy to keep the same level for whole game. But we managed to win anyway."